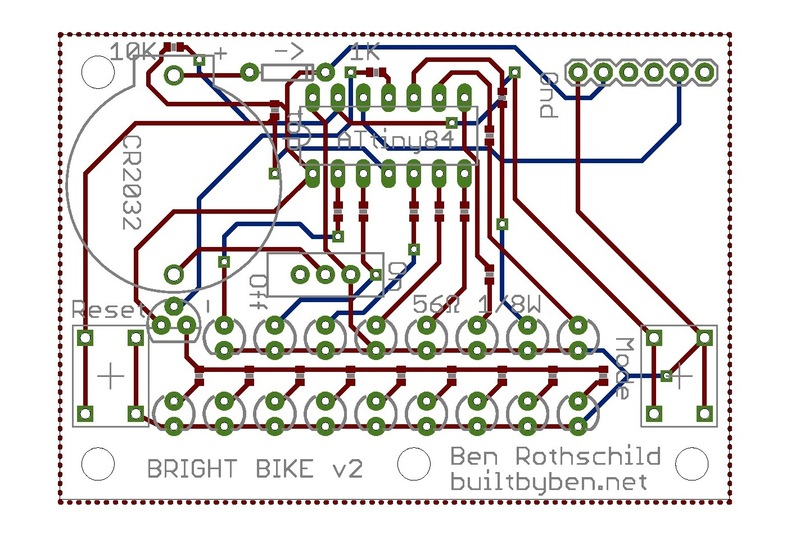 After my first attempt at a brighter more intelligent bike light last summer I decided to redo the project and make it look a little more professional Originally version 2 was supposed to be made on perf board with a stand alone Atmega328 instead of an entire Arduino. Over the last few weeks, though, I have taught myself to use Cadsoft Eagle and thanks to OSHpark got these beautifully printed PCBs. There are a couple of things that I would change to this design. First off, I am not sure how it slipped my mind, obviously CR2032 coin cells cannot deliver nearly enough current to power all of the LEDs on full power which is around 140mA. 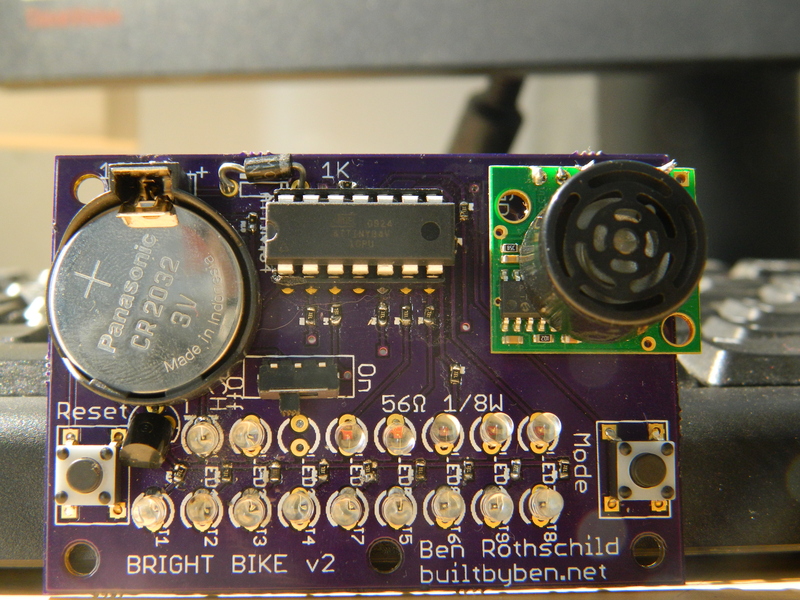 Secondly, instead of using a $25 Ultrasonic sensor it was suggested to me that I use a photocell. This would mean that I would get sensor readings based on the brightness of the light behind the bike, so if there is not a car there then there is no light and the closer a car gets the more light there is. 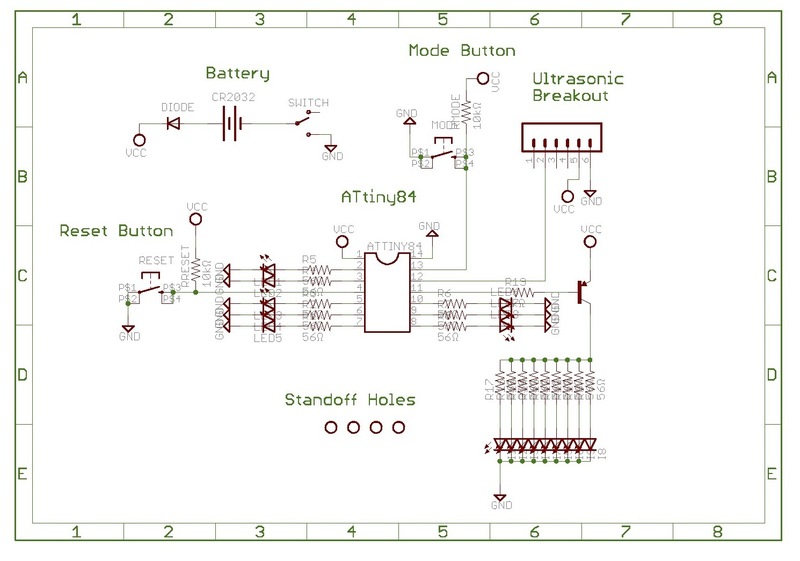 This seems a better method instead of a relatively short-range ultrasonic sensor. 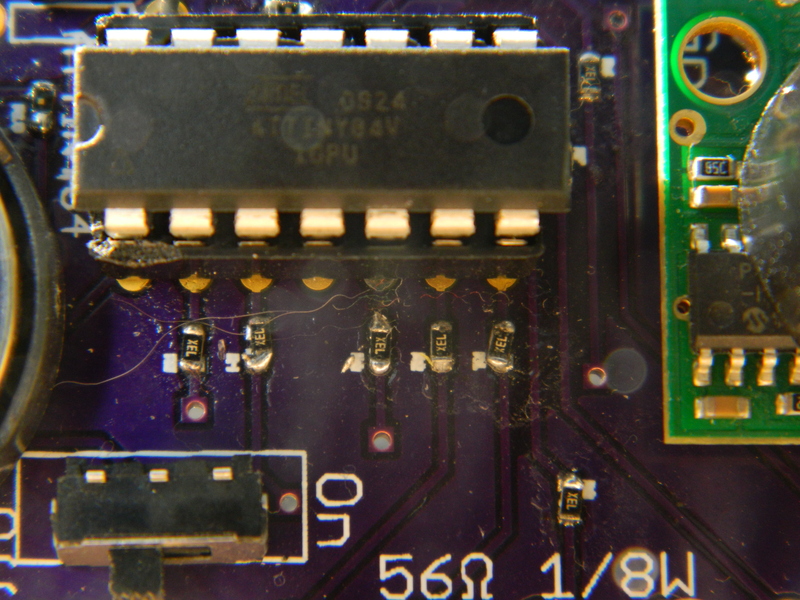 Surprisingly the SMD parts were far simpler to solder than I thought that they would be. A Flux pen really helped. I can use some practice, but all the LEDs worked the first time!